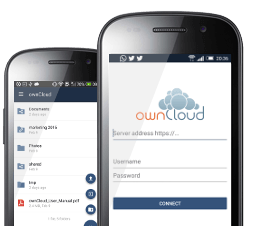 Download ownCloud today - customized for your needs. ownCloud offers a variety of installation options. On this page all available options are listed. Choose the variant which best fits your needs. ownCloud offers different release channels, where the software is provided. Have a look at the release channel overview to learn which channel is meant for which use case. Looking for older versions? See our Older-Versions section. The server is the core software behind ownCloud. Supporting Linux (like) operating systems it takes care of all your files and data and controls the access. The installation via the ownCloud tarball is the most common option and is best for production environments. Aimed at experienced administrators, it offers the most customizable installation method. If you already are "dockerized", checkout the ownCloud Server Docker Image maintained by ownCloud. The image is aimed at experienced admins who want to benefit from the Docker environment. For a docker-compose.yml please visit https://github.com/owncloud-docker/server. The appliance is the easiest way to get ownCloud up and running and is best for non-technical users. 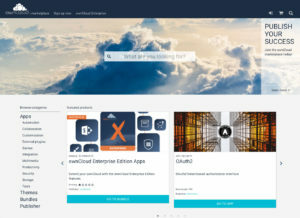 It is built on UCS ("Univention Corporate Server") and is fully set up and configured with a secure connection and the ownCloud Proxy app. You can install virtual box, download our OVA file and load it up. See the Appliance installation instructions in the Documentation. ownCloud provides ready-to-deploy packages for popular Linux distributions such as Debian, Ubuntu, Fedora, RedHat Enterprise Linux, CentOS and openSUSE. Looking for a hosted ownCloud? Many hosting providers are offering an automated ownCloud installation in your own web hosting. 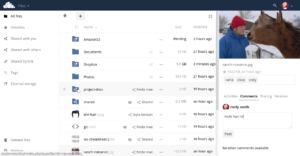 The ownCloud desktop client keeps your data synced. Select one or more directories on your local machine and always have access to your latest files wherever you are. Access, sync and upload your data on the go. Mobile apps are available in both the Apple App Store and the Google Play Store. ownCloud Marketplace is our community and partner platform to distribute ownCloud extensions (“Apps”). It offers a variety of products, which enhance your ownCloud instance with professional features. Driven by the community, many of them are free but certified partners also offer their own products. Have a look and learn how you can extend your cloud sharing possibilities. Have an idea for an app of your own? Start developing and publish your work on the marketplace.